Avengers: Infinity War left a lot of dangling questions. Among the most important: where was the Hulk? 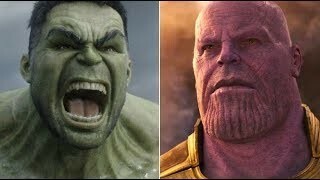 The big green guy all but abandoned Bruce Banner in the battle against Thanos. Was his absence just build-up for an Endgame triumph? It’s a good bet that he’ll be back in the big Infinity Saga finale, which makes us ask one big question: could a vengeful Hulk actually put Thanos to bed permanently? Here’s all the ways we think that might happen.